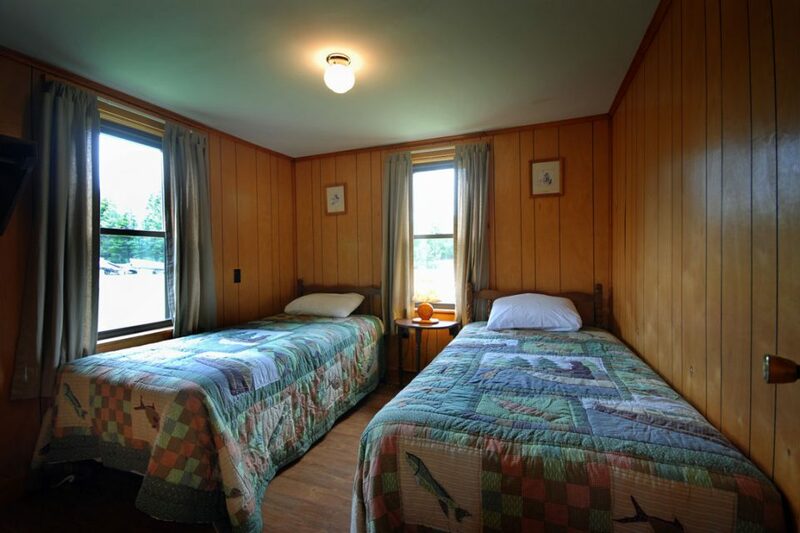 Quaint and cozy, this cabin is just steps away from Back Lake. In the winter you can park your snowmobile right at the door. 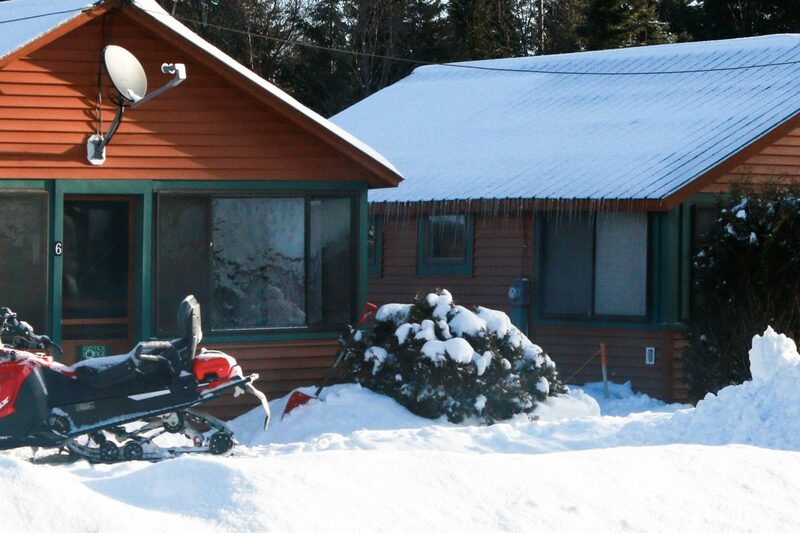 Great location for four-season fun in the North Woods. 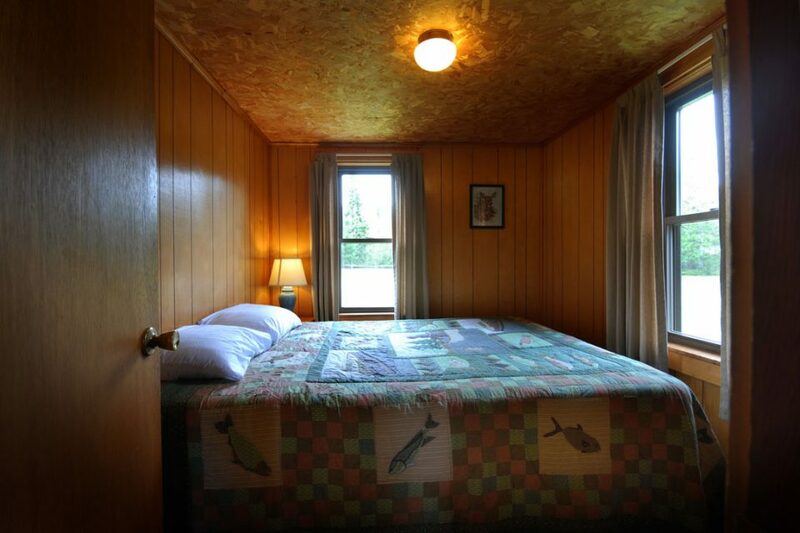 This cabin is right on the ATV trails. 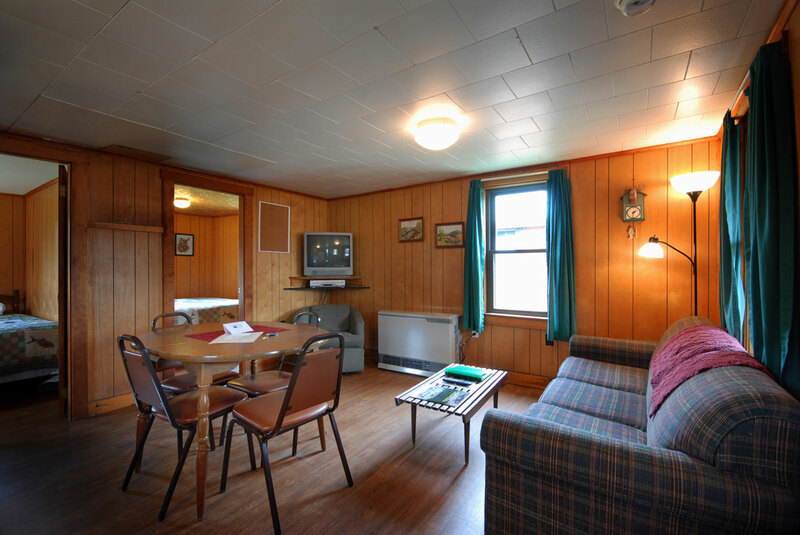 Summer Weekly Rate	 $817.50 for 2, $252 per additional person. This is our second stay at Lopstick. This time we stayed in Caddis #6 on Beach Road, which we loved because we were able to ATV right from the cabin. In addition there is a huge parking lot that Lopstick owns that you can park your trailer in. Short walk to small public beach, which we took advantage of, water was very clean. Our cabin was a 2 bedroom, fully stocked kitchen, with a 3 season porch on the front. We had issues with our DVD player, which was not hooked up, so they sent someone down and after looking at the equipment, they decided to buy a new TV and DVD player, so that was nice. Kitchen was adequate, had everything we needed to cook a couple of meals. Beds were a little hard, but not too bad. The one thing I like about Lopstick cabins, they are very CLEAN and they change towels and pick up trash daily. Lots of cabins don’t do that. We stayed in one of the Caddis cabins. It was very clean (2 bedrooms) and very well furnished. 1 great room (living/dining/kitchen) 2 bedrooms (1 queen, 2 doubles) and 1 bathroom. They literally provide everything you need (dish soap, dishes, utensils, pots & pans, paper towel, shampoo & soap,towels, linen/pillows/blankets. The only thing you have to bring is what you need for hunting/fishing/hiking/snowmobiling/atv etc. 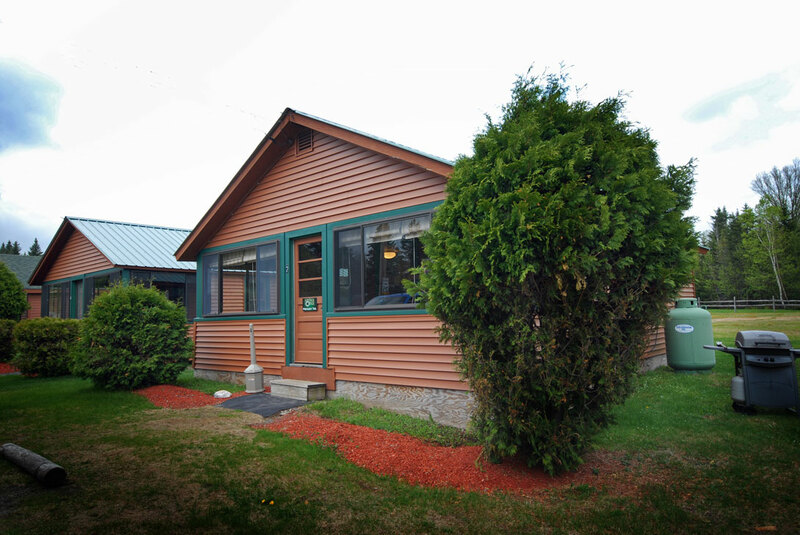 Located right across from the lake and off of Route 3. Close and easy access to great grouse hunting areas. 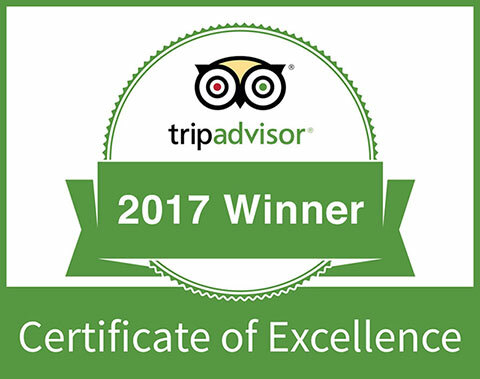 The staff was friendly and helpful. I highly recommend Lopstick cabins. Bargain rates. Do yourself a favor and book a cabin so you need to only focus on the fun. Cabin was very clean with everything we needed for our snowmobiling trip! We are sure to return. We had a good time in this cozy little cabin. Loved the fishing and the lake. It made the end of my summer one I won’t forget!